It is a joy, as it is always, to write to you and share news of progress here at MGVS. 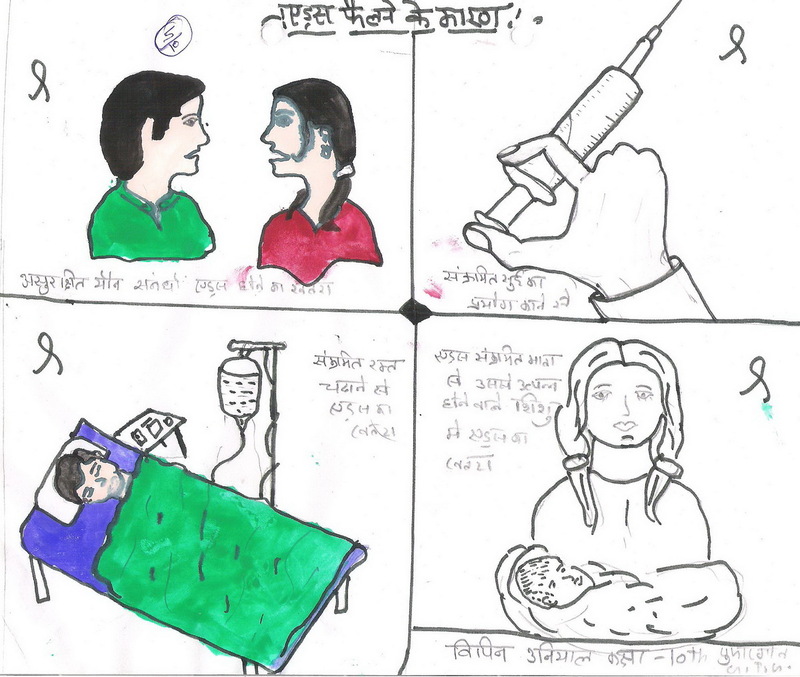 Your continued support has changed the lives of so many more marginalized families living in remote communities of Garhwal, this year, and we have included a few of the highlights in this newsletter for you. This past year we suffered the loss of our mentor, MGVS Founder, Rev. R. C. Alter, when he passed away on the 19th of June. The foundation Rev. Alter laid for helping people with respect and understanding has shaped our work as well as our lives. We are so blessed to have been part of the vision and life of such a wonderful man and friend. We will always miss him. The honor of upholding Rev. Alter’s sincere aim to uplift those in need, in these parts of the Himalayas, together with all of you, is one that I find difficult to put into words. The MGVS Team joins me in wishing you all a Merry Christmas and a Happy New Year! On April 21st, 2010, Beemal Gaud of Village Suwakholi joined Kaplani School, along with his friend and interpreter, Pravesh Negi. 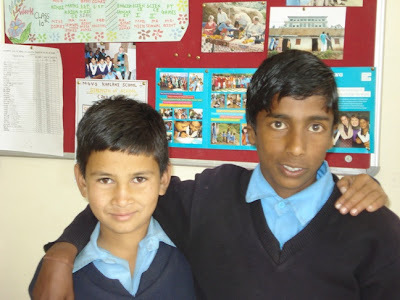 Pravesh has been in school with Bimal since Kindergarten, making it possible for Beemal to study in seventh grade this year through the use of a sign language the two boys created in early childhood. By November 2010, Kaplani School staff arranged visits to three government disability camps and the Doon Hospital for Beemal, so that his family is now receiving a government pension of Rs. 300/- per month. 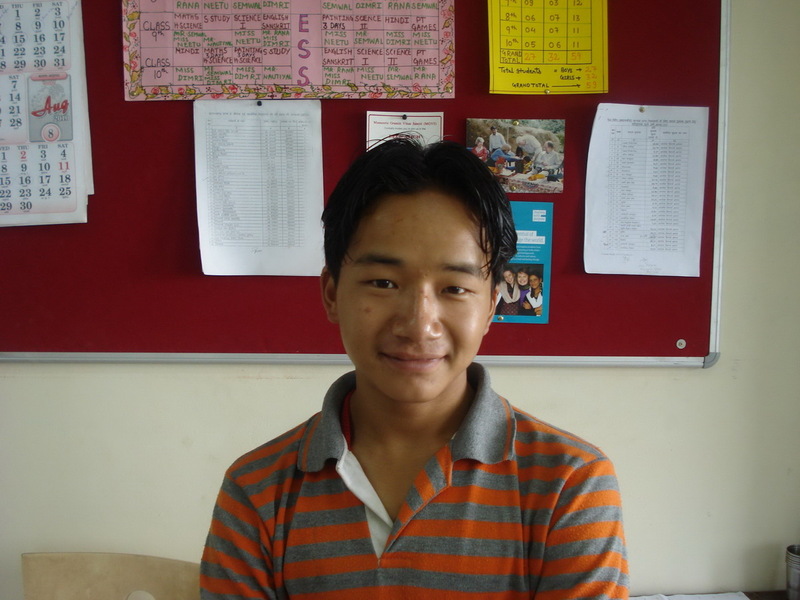 Beemal’s academic performance is average, but he is able to read and write in both English and Hindi. MGVS efforts to understand and improve the quality of life of disabled persons are also underway in the Naugun Patti area. Beginning in April, 2010, a total of sixty-six families with disabled persons, across fourteen villages, were interviewed at least twice. 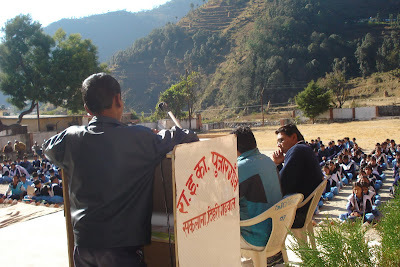 In December, 2010, MGVS Community Organizer, Dhirendra Rawat, and MGVS Health Staff, Raj Kumar, attended a workshop on Disability, organized by the Community Health Global Network - Himalayan Cluster, in Dehradun, where they had an opportunity to meet and share ideas and information with 40 other NGOs of Uttarakhand. Following the workshop, Dhirendra and Raj shared what they had learned about disability, govt. and non-govt. schemes with the rest of the MGVS team. 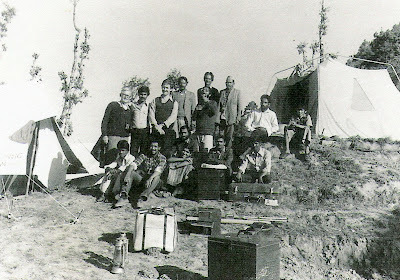 From February to September of this year, the MGVS Staff then shared, and explained the contents of, a copy of a small information booklet (in Hindi), which MGVS had obtained from the Latika Roy Foundation, Dehradun, with each of these sixty-six families, so that they are now aware of national as well as local government and some non-government schemes/services available to them. Follow-ups with each family are ongoing. There are four people in the Das family: Chaepku Das and his wife Kanta Devi live together in Village Bayaar with their younger son who is in school; their elder son has left the valley in search of work. The Das family lives in a two room house with electricity, but no running water. MGVS had been working with Chaepku Das’ family to ensure that their documents are in order so that the family may access relevant govt. benefits for poor families, but this is not enough keep the family out of debt. So, Chaepku Das decided to start a poultry unit with MGVS assistance in July, 2010 after he had attended an MGVS training, along with nine other poor farmers, on how to run a small scale poultry business in June 2010. Chaepku and Kanta started out with 22 chicks. Four chicks died, but from the eighteen that survived, the family was able to sell 9 chickens and earn Rs. 1800/-. Chaepku and his wife then decided to put their earnings into three goats at Rs. 5500/-, and with Rs. 1000/- as a down payment they were able to arrange the purchase. Today the family is raising 9 chickens and their goats have multiplied to eight! Bhim Das and Salochna Devi have four small children, and they too live in a two room house, in Village Gaer. They decided to start a poultry unit with MGVS assistance in July, 2010, with 27 chicks. Seven chicks died, and from the twenty that survived, the family sold 11 chickens and earned Rs. 3025/-. Bhim Das was encouraged by the success of the business and so on November 2nd, 2010, he purchased 29 more chicks through a government scheme, at Rs. 15/- each. He adjusted space for the new chicks in the poultry house MGVS had helped him build, by fitting in wooden planksto make another storey: the chicks were placed above. In July, 2011 the business earned Rs. 6,200/-. 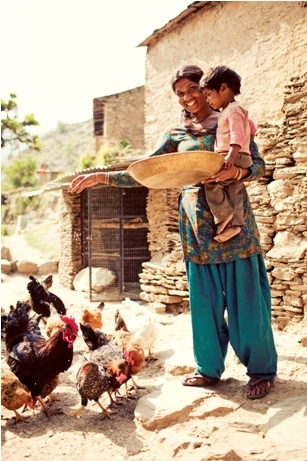 Currently, Bhim Das is working on building another chicken house, and his family is eating the eggs laid by four hens. Salochna and Bhim have opened savings accounts for each of their children and they are depositing what they can each month. MGVS has also ensured that Mr. Bhim Das is accessing his right to 100 days employment through the MANREGA scheme. The poultry business is ideal for their family, says Salochna, who needs to stay close to home with the children when her husband is away at work. On Sunday morning, June 19th, 2011, MGVS Founder, Rev. Robert Alter, passed away in his sleep. Please join us in prayer for his wife, Mrs. Ellen Alter, and his children and grandchildren who have lost their loved one. A memorial service was held at St. Paul’s Church, Landour Cantt., in Mussoorie on 1st August 2011. MGVS is grateful for the moments we have had with Rev. Alter. He truly lived a full life, a life of meaning and giving, humility and such positive upliftment of the people around him. 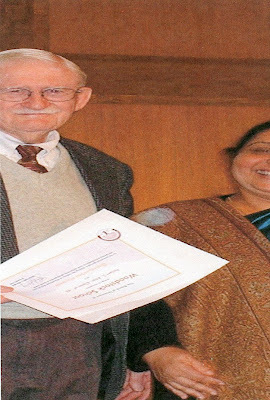 Villagers living in and around Mussoorie still remember Rev. 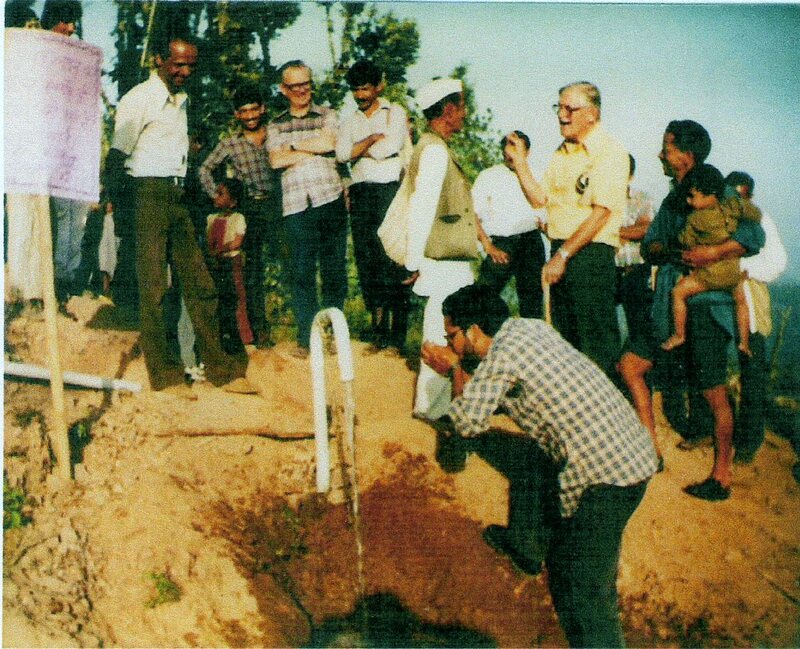 Alter as “Paani Sahib” (Water Sahib) for the first MGVS project - the 3.5 km Patrani-Donk drinking water pipeline, completed under Rev. Alter’s leadership. The pipeline was laid with low-cost PVC pipes for 14 families at a time when the government refused to acknowledge that these families needed water because their homes were so out of the way, until MGVS showed that it was possible to bring water to the area, in 1985. The pipeline has been repaired with GI pipes in many places since that time, and it continues to be functional today, with some of the original PVC piping intact. During Rev. Alter’s fourteen years of leadership as Coordinator, he also implemented a holistic approach to development issues, including health, women self-help groups and women empowerment melas (fairs), organic (sustainable) farming and income generation and appropriate technology. He approached village problems, with the villagers, and the MGVS team, bringing about ever-innovative and effective results. Rev. Alter is sure to live on in the family folklore of the rural people of this area, for many generations to come. The foundation he laid for helping people with respect and understanding has shaped our work and our lives. MGVS has been so blessed these past thirty years, to have been part of the life of such a wonderful man and friend. We will always miss him. Chamasari to learn about village needs. Rev. Alter was the youngest of four brothers. He was born in Srinagar, Kashmir in 1926 to American missionary parents, and he started living in a different part of the Himalayas, in Mussoorie, at age five. 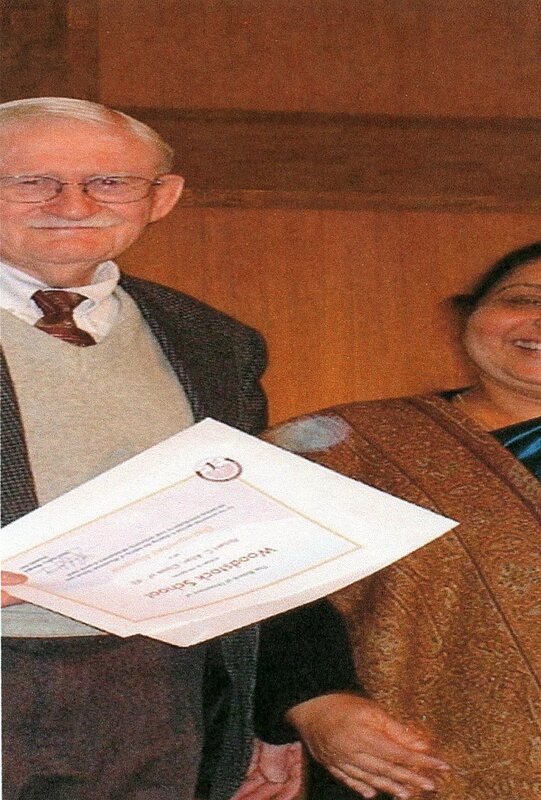 He graduated from Woodstock School in Mussoorie, in November, 1943, at the height of WWII. Rev. Alter managed to get passage on an American troop ship headed for the US and his studies continued at Westminster College in new Wilmington, Pennsylvania in July of 1944. In 1948 Rev. Alter returned to Mussoorie where he married Mrs. Ellen Alter, who was teaching English at Woodstock School at the time, and they both stayed on to teach at the school until 1951. Rev. and Mrs. Alter then went to America for higher studies in 1952, where Rev. Alter attended Yale Divinity School, and was ordained as a Presbyterian minister in 1955. From 1956-1965, Rev. and Mrs. Alter served in central Uttar Pradesh, where Rev. Alter started an economic development programme for village Christians. During this period, he also completed an M.A. in Rural Sociology from Cornell University in 1962. Rev. 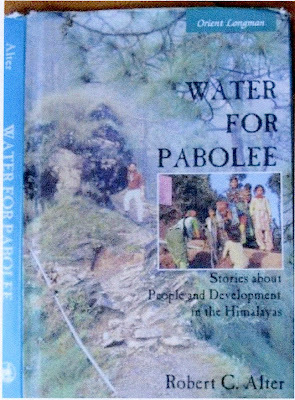 Alter's book - "Water for Pabolee." where it connects between the two villages. Then, in 1966, Rev. Alter returned to Mussoorie once again when he was asked to be Business Manager at Woodstock School for one year. From 1968-1978, he also served the school as principal. Under his leadership, schooling Indian students was introduced. In the Spring of 1981, Rev. 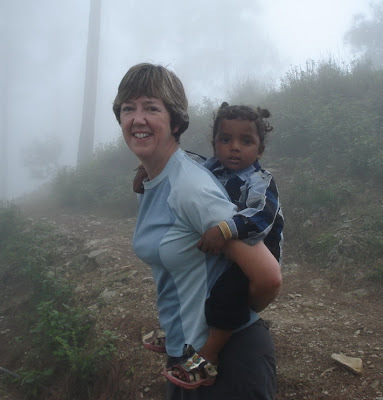 and Mrs. Alter started working on an action outreach programme of the Christian Retreat and Study Centre, Rajpur Dehradun, which evolved into MGVS – Mussoorie Gramin Vikas Samiti (Mussoorie Village Development Society). Rev. Alter served MGVS as Coordinator for 14 years until 1995, when he retired to Wooster, Ohio, in the US. After his retirement he assisted MGVS with reporting, funding issues and visitor groups from time to time. 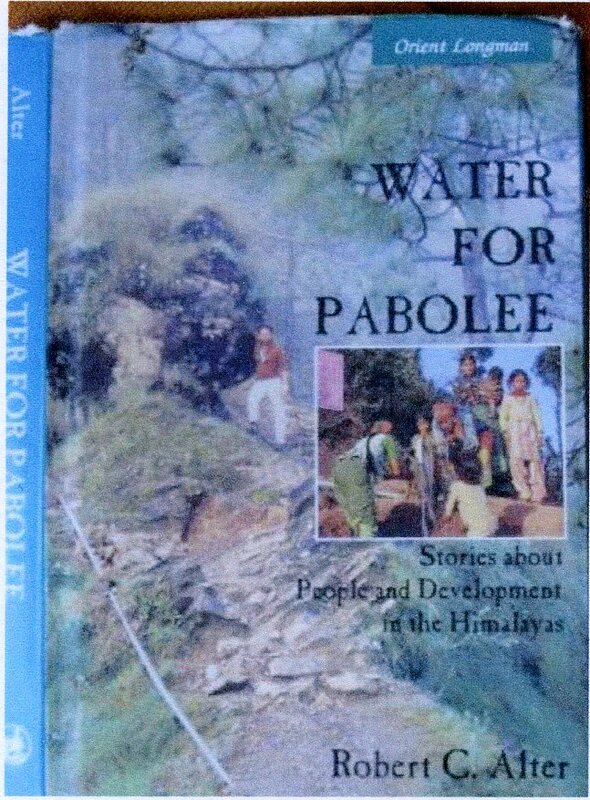 In 2001, he completed Water for Pabolee, a book about his life and work with MGVS. 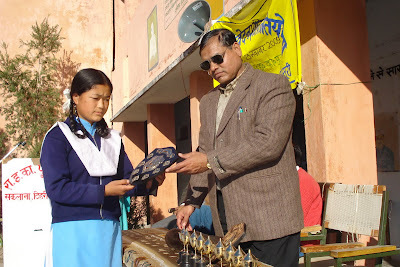 He dedicated the book to the people of Chamasari and Kanda-Jhak; Chamasari was the first area in which MGVS worked. pipeline to the pradham (local village council chief) of the area. MGVS has worked for many years with the people of Saklana Patti, with the women and the men, as well as teenage girls and boys, to raise awareness regarding Gender issues and HIV/AIDS. And as MGVS prepared a phase-out of our activities from the valley in 2009, both the people of the valley and the MGVS team were concerned that awareness activities should be able to continue in spite of MGVS. Therefore, MGVS assisted the community in setting up set up a Gender- HIV/AIDS Forum on September 8th, 2009, as a joint effort of the two High Schools and one Inter College of the valley. A government women’s organization, Mahila Samakhya, which has taken an interest in promoting Gender awareness and trainings in the area, was also invited to join the Forum as a participating member. Mahila Samakhya provided Gender Sensitization training in the schools, this year, as MGVS prepared to phase-out of the area, in the place of the MGVS Gender program, and Mahila Samakhya has plans to continue doing so in the future. They have also agreed to fund the costs of prizes etc. for awareness events in upcoming years. The Forum has plans in place to hold awareness events each year. The Forum organized Gender & HIV/AIDS awareness events in 2009, and MGVS guided the Forum through the process, encouraging confidence. On December 1, 2009 (World AIDS Day), an HIV/AIDS Painting & Essay Contest was held at Marora High School, also organized by the newly established Gender/HIV-AIDS Forum of Saklana Valley. All three high schools of the valley participated. 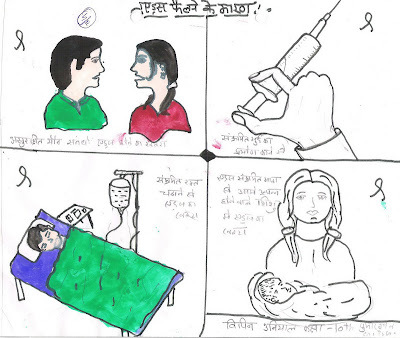 Children took part by making posters and writing essays during the event, showing how HIV/AIDS is spread and how it is not spread. First, second and third prizes were awarded: Rajat Negi (9th Class) won first prize for the poster competition and Ankur Thakur (9th class) won first prize for the essay competition. The other contestants were awarded participatory prizes. Prizes were handed out by Chief Guests, Mr. Dinesh Rawat of Rani Chori University, and Mr. Harshdev Unyal, Area Panchayat Head. 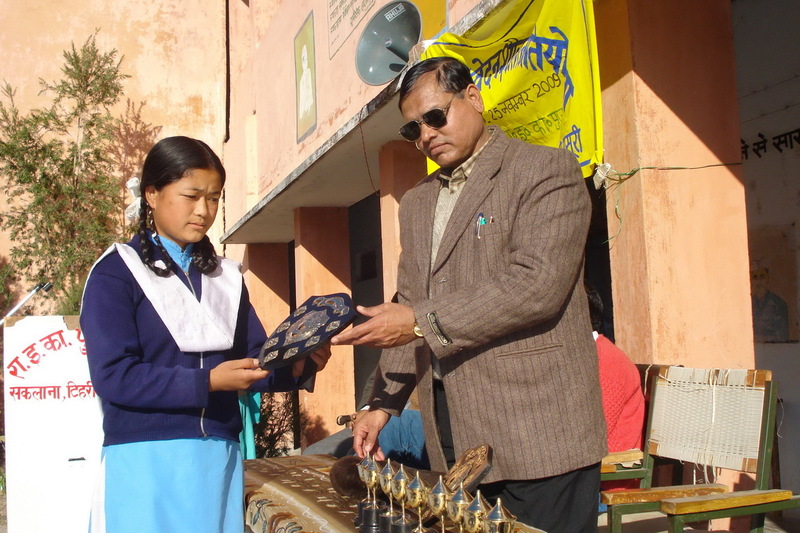 The Principal of Marora High School, Mr. J. P. Gaud, was especially impressed with this programme, because he had never witnessed an activity of this sort in the school, where after training has been received, a public competition takes place, and the audience is also engaged in discovering who has understood the most on the subject, as opposed to the usual formal testing/examination method of assessing knowledge. This past year marks the ninth year that MGVS Kaplani School has been providing an education past the Primary School level to the children of villages in the mountainous areas surrounding Kaplani Village, on the outskirts of Mussoorie. Today, a total of 30 students (17 boys and 13 girls) have acquired matriculation certificates (Grade 10), including nine more students who passed their final 10th Class Board examinations this year in March 2010. All nine students have gone on to further studies (Grade Eleven) at Inter-Colleges in Mussoorie, showing a shift in the value that the larger Kaplani community is now placing on education. One of the nine Kaplani School graduates for 2010, Lokendra Thapa, made his school proud this year, when he scored the highest marks in the Mathematics paper of the final Board examination, for the whole of the Mussoorie area: 82% - Ist Division. Fifty-nine students are currently attending Kaplani High School: thirty-two girls and twenty-seven boys. On April 6th, 2010, at the start of the new school year, Kaplani High School welcomed Miss. Neetu Singh as a Science Teacher. MGVS is hopeful educational standards will improve for Kaplani School students now that each of the five Grade levels in the school has one teacher each. On April 26th, 2010, the new Heidi Parker Memorial Building was opened formally. This marks the end of a construction project, very generously funded by Mr. Robin Parker (Woodstock School alumnus ’48), which was started five years ago. It has been a real treat for the students of Kaplani School to sit through classes during the monsoon rains this year, with dry books and dry feet! The new building has made all kinds of other changes possible for the students of Kaplani School as well – a Science lab, individual desks for each student, computers etc. The Kaplani School has received many blessings through the special joint efforts and continued support of many friends that have left the MGVS Team and Kaplani School Staff and students without words and truly grateful. From July 12th - July 18th, 2010, and from July 26th – July 29th, 2010, two groups of approximately 18 high school students and three teachers each, visited from Northern Ireland and spent time teaching Kaplani students some Science, English vocabulary and grammar, crafts etc. Saphara of Nothern Ireland arranged their visit. 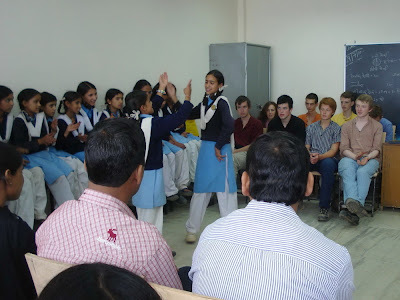 Both sets of students also participated in many cultural exchange activities including singing and dancing and Hindi speaking. After four days of teaching at Kaplani School, each group of Irish students then trekked down to Donk Village to work with Donk Primary School for a day. The Irish students prepared their lessons for the classes they taught at each of the MGVS Schools, which really helped make the experience an especially intense opportunity for the Irish students themselves as well as the Kaplani High School and Donk Primary School students. Kaplani School staff also had an opportunity to discuss different teaching methods with the teachers from Ireland. 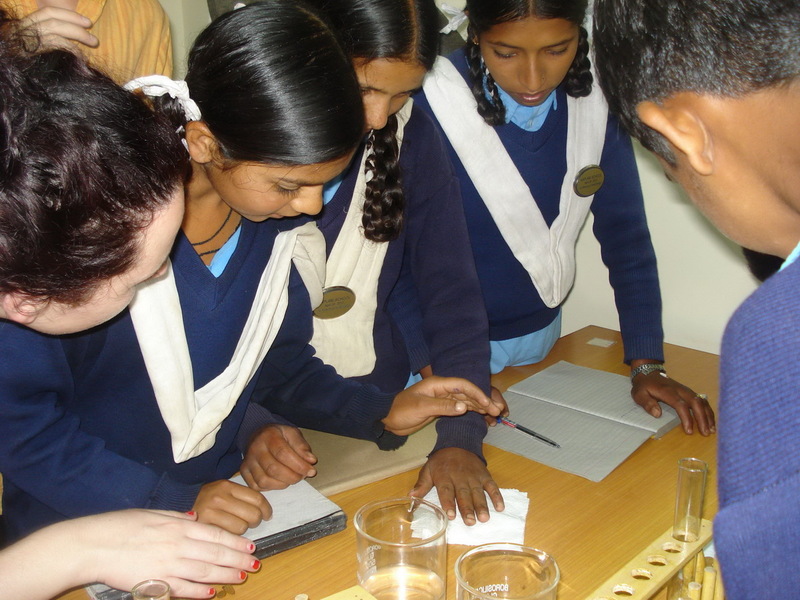 A highlight of the two visits was a Science exchange, which took place in the new Science Lab, generously set up by Saphara themselves for the students of Kaplani School, in the recently completed Heidi Parker Memorial Building. The group leader was Dr. Christine Burnett, Director and Founder of Saphara. Saphara is a non-government charitable organization that has been working in partnership with MVS since 2008. In the last week of November 2009, MGVS founder, Rev. 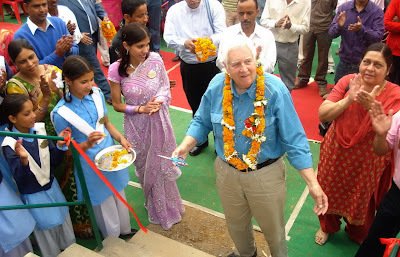 Robert Alter, Mrs. Ellen Alter and MGVS Founding Member, Mrs. Saroj Kapadia, visited Kaplani School. Their visit was a moment grace for the students and the teachers.